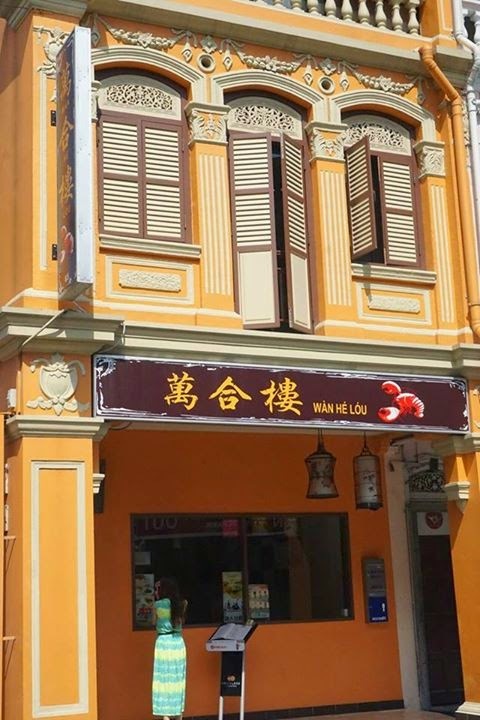 Location: 65 Maude Road | It is located between two mrt stations (Lavender & Farrer park). Getting to this location can be quite tricky especially from Lavender as there are quite a lot flats around this area. The design of the restaurant is quite simple and modern. 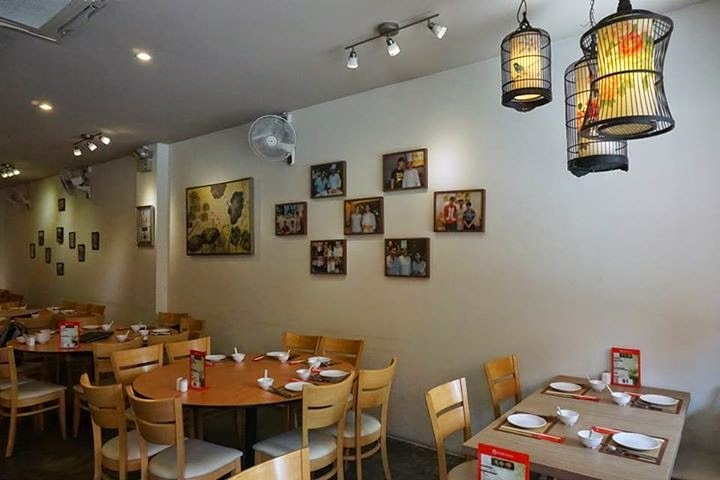 The lanterns and paintings help to give the restaurant a slight oriental feel. 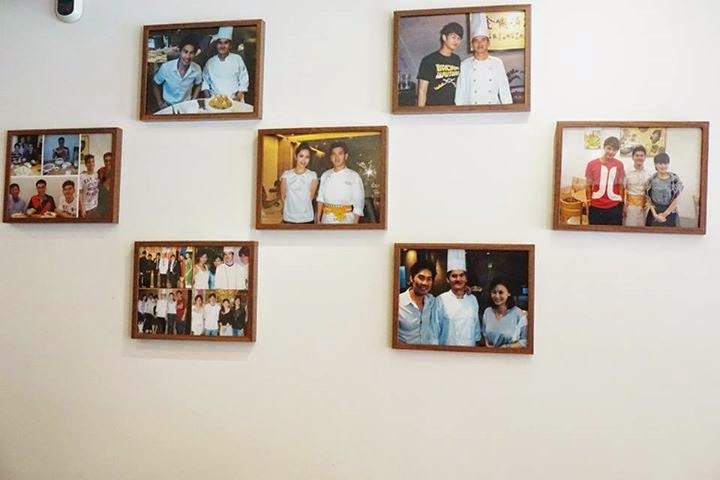 Photos of the mediacorp artistes who have visited the restaurant.The restaurant has also been featured on Tv show before. 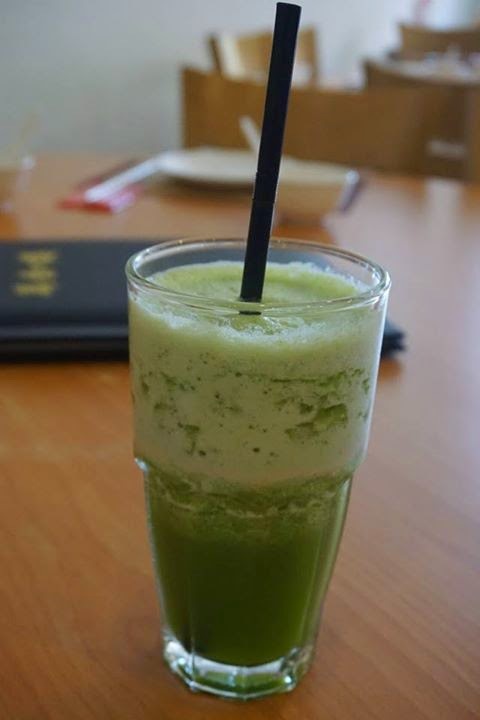 Fresh green vegetable juice: I really love this drink. It is just like oasis in desert especially on hot afternoonwhen we visited the restaurant. Personally, I dislike vegetables juice and they give me a "raw green" taste but this is really awesome. This drink is made of pineapple, sour plum and cai xin and it is well blended. 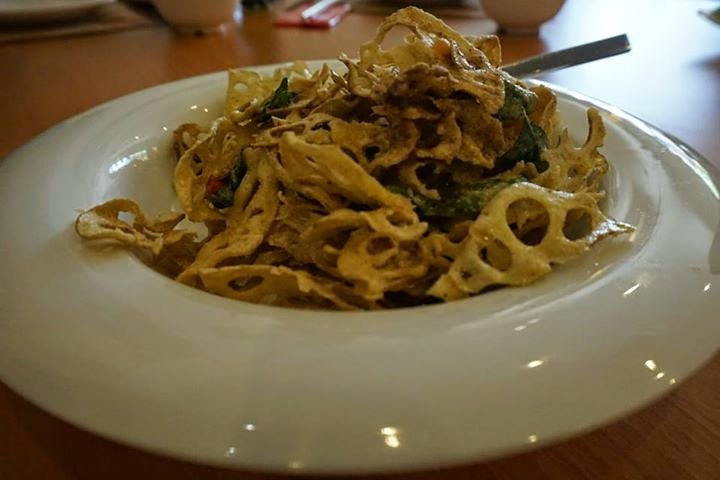 Crispy Lotus with Salted Egg: Deep fried lotus coated with salted egg. It is thin and crispy with light salted taste similar to potato chip. Good for appetizers while waiting for main course. 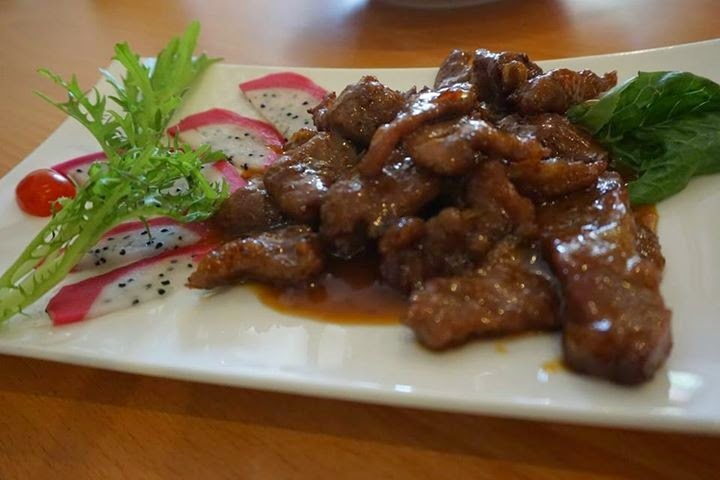 Pan Fried Kurobuta Pork: The dish uses black pork which remind me of the famous black pork bbq which I ate in Jeju. Kurobuta Pork is tender and less oily giving it a texture compared to normal pork. 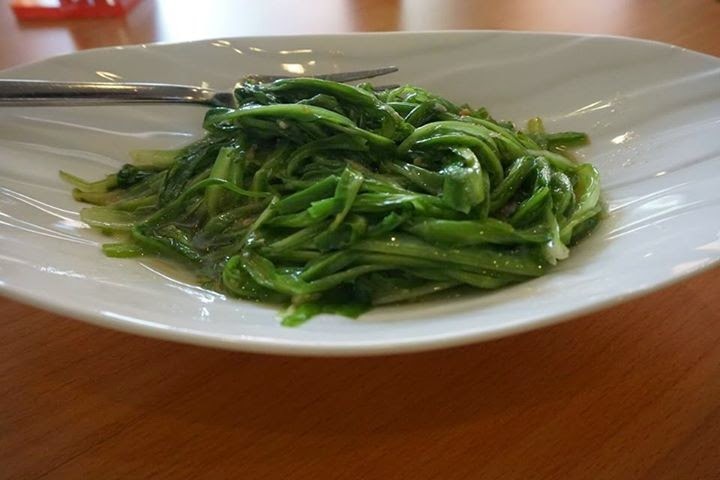 Green Dragon Vegetables: The vegetable is imported from Cameron highland and nylon net is placed over the fully grown plant to give bright green color. The vegetable is cooked with small shrimp. It is fresh, crunchy and sweet. 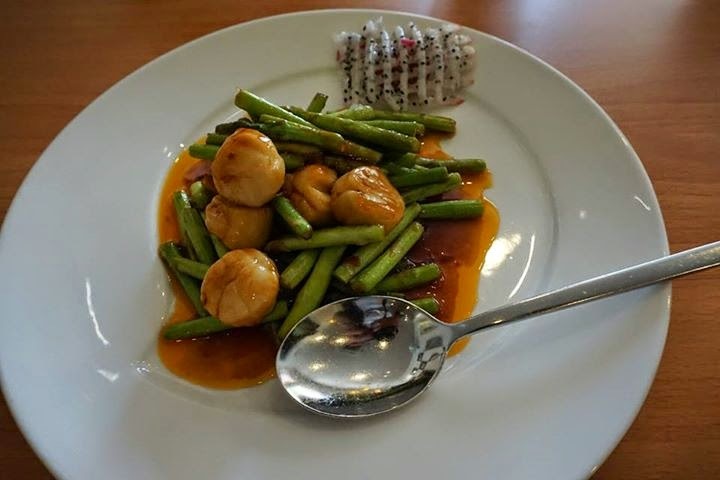 Hokkaido Scallop: It is fresh Hokkaido scallop cooked with Hawthorne sauce & crunchy Asparagus. 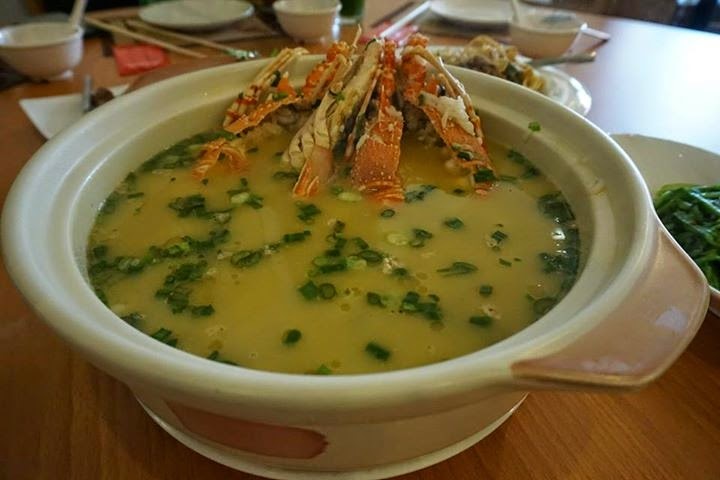 Signature Lobster Porridge: Award winning dish which capture many awards including the most recent "2011 Taipei Champion Cooking Contest Professional Teams Category 1st prize" It is Teochew style porridge cooked with fresh Lobster. The soup tastes heavenly good and the lobster meat is fresh & soft. Overall, I really enjoyed the meal and thankful for the owner time on explaining to us every dishes. I would recommend to my friends who want to enjoy affordable and good chinese cuisine especially those want to try heavenly lobster porridge.